Dubai: “White knights” are again getting active in Dubai’s real estate market, picking up distressed plots and projects and trying to make them viable again. Such investors are also providing a much-needed safety net to the wider market, ensuring that delayed or shelved projects — and the ensuing angry property buyers who have put money into these — are as few as possible. Dubai’s real estate authorities are also doing their bit by signing off on the revival plans as soon as the new investor manages to clear all payments and other legal obligations on the distressed asset. There is a review process underway to “expedite revival of stalled projects, and this could lead to renewed interest in distressed projects,” one source said. There is also talk in the market that a high-profile distressed project, where the original promoters are no longer around, could soon have a turnaround story to tell. If this proves to be the case, this would ease concerns for all those investors who have money stuck in a project that has been delayed by years. The changed market dynamics are also helping — land for development is not as costly as it used to be, even as recently as three to four years ago. 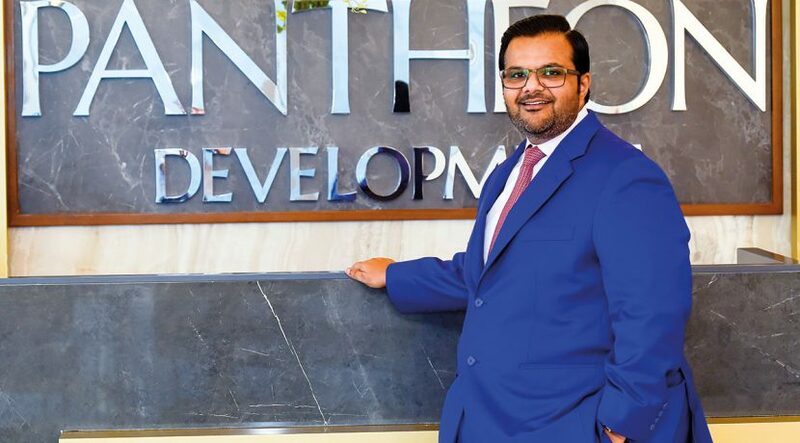 “During 2014-15, plot owners were able to negotiate land prices that would be 21-22 per cent of the overall project cost — now, that’s down to 15-17 per cent,” said Kalpesh Kinariwala, CEO of Pantheon Group, which has an ongoing project at Jumeirah Village Circle called the Elysee and where the plot was acquired through such a transaction. The land cost came to “well below Dh25 million” for the 17,000 square metre (183,000 square foot) plot. 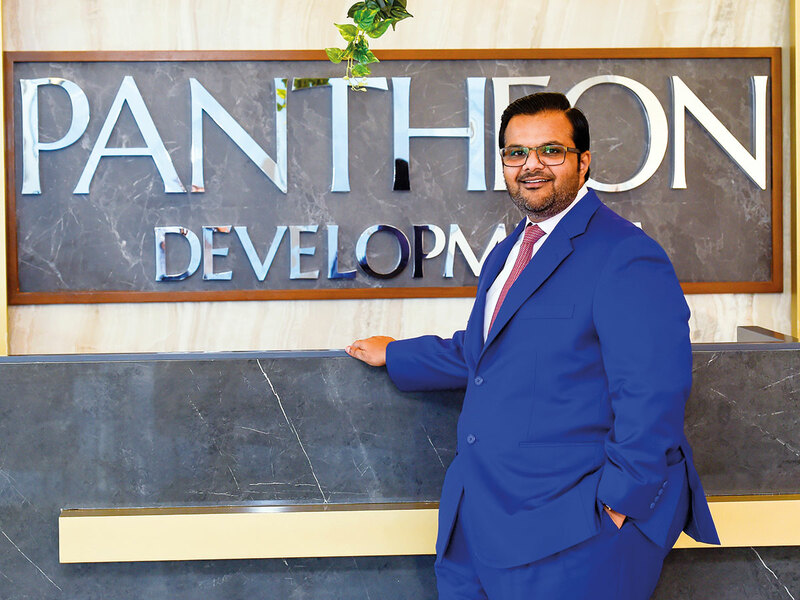 Pantheon has plans to develop 92,900 square metres (one million square feet) of residential projects in Dubai, which together would generate around Dh900 million in property sales. “The scenario has changed completely, and at today’s land prices such projects have a better viability. It had to because the investor community have shifted their focus from backing luxury projects to more affordable homes. This is where the money is headed in Dubai’s property market right now — where the property is easy to sell or rent. Kinariwala’s formula is straightforward — build to a certain quality and keep the selling price to under Dh1 million, something he believes improves the chances of selling in the current market. In Pantheon’s first project, also at JVC and named the Boulevard, it has crossed the 95 per cent sales mark. But are white knight investors only interested in distressed plots? What of projects that may have hit the under 30 per cent mark construction-wise before they got stuck for lack of funds? For the time being, the majority of distressed-related deals have been for plots, where a particular project was shelved or where the original owner found it difficult to even put up the full cost of the land. One thing that investors seeking distressed assets should have apart from ready funds is patience. Chances of deals getting signed off within days are rare. More so in the case of projects where a lot of off-plan selling had already taken place. “In acquiring shelved projects, there is a lengthy court process that costs time and money,” said Razi. “The new investor-developer needs to apply a cost-benefit process, where the net present value of acquiring the distressed project is weighed against the cost of acquiring a plot that is readily available and devoid of any liabilities. Kinariwala, for his part, makes one thing quite clear — there are limits to how patient investors are willing to wait around. That does count in any revival story. ■ All existing off-plan property owner liabilities must be cleared. Or they have to give their consent to transfer their interest to the revived development. ■ Once this is done. local court approval is formally given for a project to be revived. Depending upon the size of the original owner’s liabilities, this process can take anywhere from six months to more than a year. ■ Once the court approval is given, the process moves to the master-developer, who then reissues a building permit, especially if the project has undergone some redesign. It is at this stage that construction recommences.